What a gorgeous sunny Melbourne morning, albeit a little chilly, l have finally gotten around to taking a pic of a card l made last week using my so long coveted and now l have..Stampin-Up "Awash with Flowers" set. 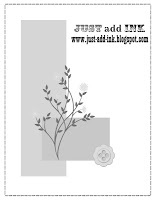 This will definitely not be un-loved, there are so many gorgeous images in this set and very versatile, being a 2-step stamp set it allows for using just the line art images for colouring, or used with a stamp-a-majig you get solid images and line art, or when using the line art on DSP you can fussy cut and get a totally different look.....So much fun! OK, getting to my card, l opted for the line-art and colouring technique on this one.....l kept the card layout and embellishment's to a minimum to highlight the image. Using a blender pen, l applied my ink directly to the watercolour paper from the ink pads using Pumpkin pie, Daffodil Delight, Regal rose and Old olive, the images were stamped in Staz-On black. I added some Dazzling Diamonds to the stamens using a 2 way glue pen and mounted it on Basic Black cardstock and Pumpkin Pie DSP. Thanks for stopping by and l hope you have a great week. As you can see it's fairly simple, my card base was 12"x5-3/4", scored and folded into 3 even 4" panels. Stamping the image twice, once on the card and once on a second piece of cardstock for layering over some parts of the image, to give it a 3D look. Once l had completed colouring both of the images, l fussy cut around the top edge to remove the excess card at the top and then cut around some of the flowers and leaves from the second piece and popped them over the original images using Dimentionals. I then added Basic black DSP and using the modern Label and Word window Punches l added the greeting and it was complete. So now it's your turn, grab your paper snips and play along! I cant show her actual cards as some were made using the new sets we received, but as l was so impressed by them, l thought l would have a go at Casing with substitute stamps......l stuck with the original colours, but re-arranged the elements a little to suit what l was using. This next card really re-enforced the basics concept too, another super quick card & both would be great for a "Workshop Sample". I hope your having a lovely day, thank for stopping by. Well it's back to reality and time for a new JAI challenge, this week is a colour challenge provided by the lovely Tania Gould . These colours are such a lovely soft combination to play with. Here is a close up of the emboss resist technique used on the butterfly and side panel, hopefully it will show the colours a little better. This is the same technique l used on last weeks card, but as you can see the results are very different when used with colours, rather than the Crumbcake to achieve an antique look. Belle Toile-Thanks for caring & Wings of friendship stamp sets. Perfect plum-Pear pizzazz-Baja breeze & Whisper white C/stocks. Perfect plum-Pear pizzazz & Baja breeze Inks. Beautiful butterflies Die- Beautiful wings Embosslit. Non SU corner rounder and Rhinestones. WOW....l cant believe it's been a week since our first day of Stampin-Up's Melb Convention. We arrived Thursday morning and received our Convention Bags, complete with some awesome new stamp sets from the New IB&C being released in Sept....love them! After swapping with some of the other Demos and receiving some fantastic swaps, we headed up to Memento Mall to give the old credit card a run.....and that l did! The workshop wow's and classes were so inspirational, l came home with so many new techniques and ideas that l cant wait to try, we were also treated to heaps of "Sneak Peek's" that will be in our new catalogue and during the Paper, Pad and Marker session we got a sample of the 5 lovely new In-Colours....Gorgeous! The very sweet Christine Blain and Guest DT lovely, Tina Gillespie. The very funny and talented Bonnie Thurber and her impersonation of a recent royal event! Well l'm finally back home after 31/2 glorious weeks in Malaysia, Cambodia & Bali, we had a wonderful holiday and enjoyed every minute, But l must say l really missed all of my toy's and couldn't wait to get into my studio and play, especially as l had heaps of time to blog surf while away and was itching to "CASE" and create some of the great projects that l had saved to my favourites.....So with my MOJO well rested, l was all set to create for this weeks JAI challenge. This angle shows a little more of the 3D look of the Birdcage and Butterfly. To create the background l stamped with versamark Ink on Very Vanilla c/stock and using clear E/P l embossed this with a heat gun, then l used a sponge and Crumbcake Ink and a technique called Emboss Resist. Gently adding the ink in a circular motion until l was happy with the depth of colour and the embossed areas were showing through. The rest of the DT girls at JAI have been super busy too and have created some stunning samples to get you motivated. Apologies for the photography....Not sure why there is colour differences, will have to work on that side of my blogging l think! 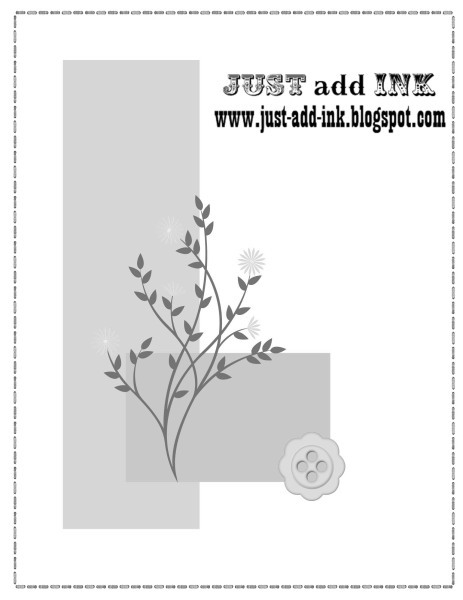 Nature Walk & French Foliage Stamp sets. Bravo Burgundy-Basic Black-Very Vanilla & Crumbcake C/stocks. Versamark-Crumbcake-Bravo Burgundy & Staz-on Black inks. Little Leaves Sizzlit, XL bird punch(leaves), Crimper, Linen Thread, non SU bling. Champagne Shimmer paint, Blender pen.